Lean is all about improving processes by taking an in-depth look at your current workflow, eliminating inefficiencies in your process and implementing a plan for improvement. 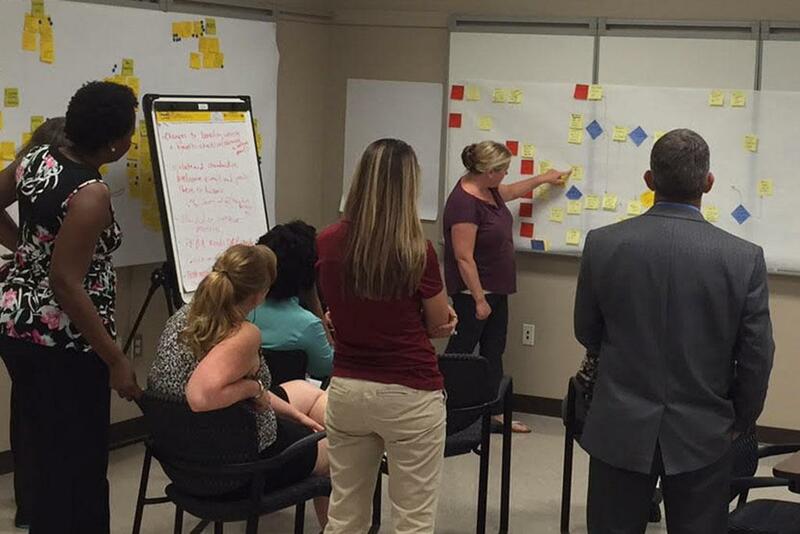 Throughout the university, employees are learning and using Lean methods and tools to bring about improvement. 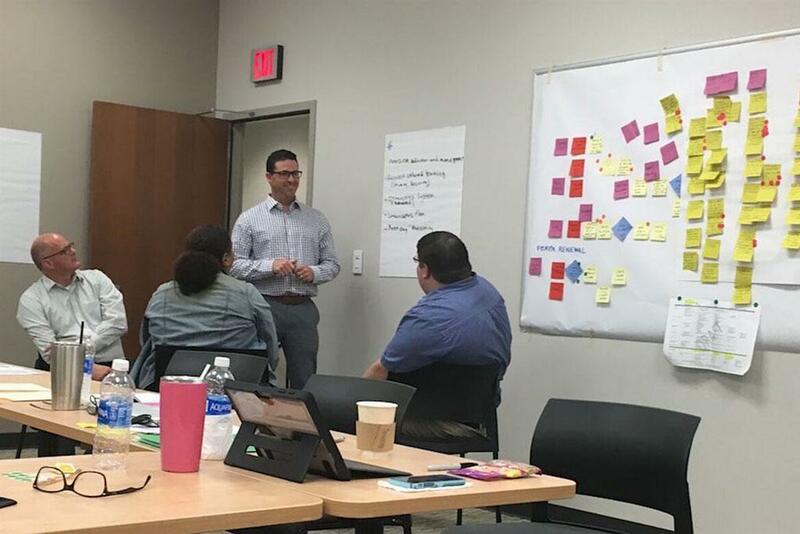 These trained Lean practitioners are making work processes simpler, faster, better and less costly – and using Lean tools elsewhere to solve problems, improve workflow and strengthen service to customers. Numbering 26-people strong, the group follows a three-step model of learning, practice and teaching. Their bimonthly sessions involve practical hands-on learning, and they're using what they learn while teaching others. If you want to learn more about improvement, attend one of our Lean Process Improvement Basics training classes. Check the availability on our calendar or class list by subject page. You may also approach one of USC's in-house Lean practitioners – and ask them to share a lean-powered idea or approach relating to one of your current workplace challenges. The group had its first learning sessions in September and November 2016, and they're already putting Lean to work and effecting positive change. Results are adding up fast. For example, a team used Lean methods and tools to cut the FTE hiring process in half – and set the stage for upcoming IT imporovements. 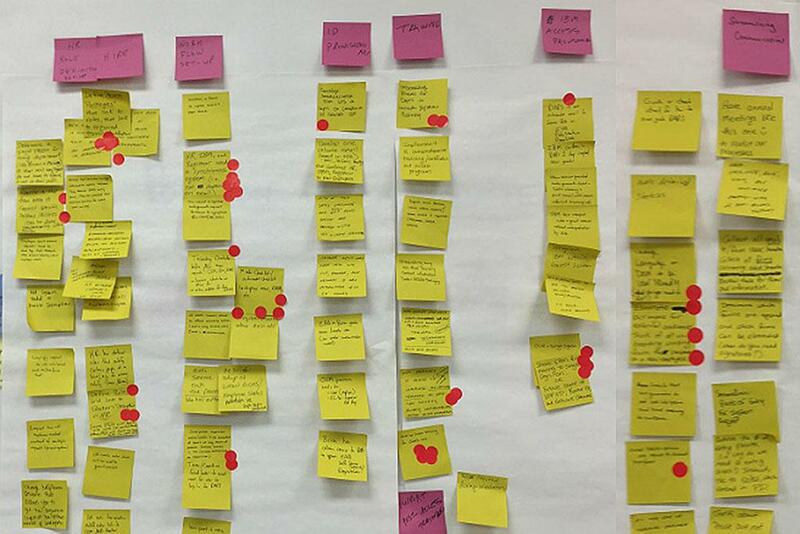 Another team used Lean to make the benefits enrollment process simpler, faster and better for everyone. 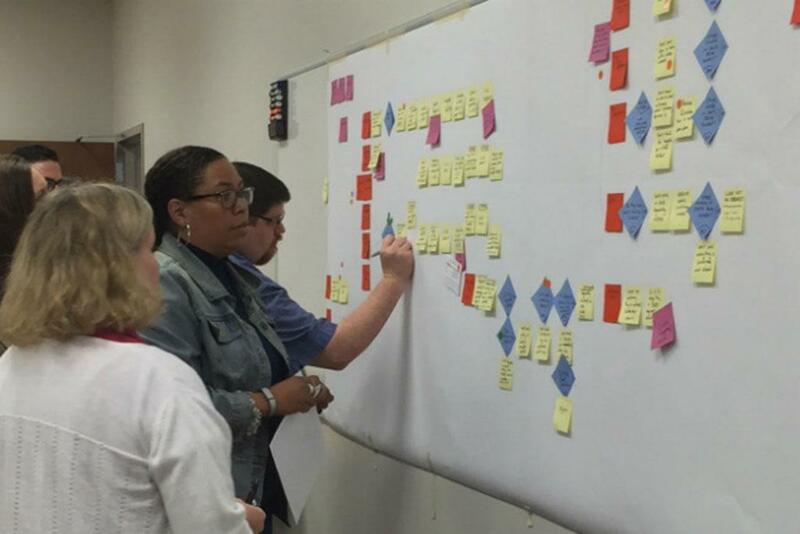 A third team used Lean to streamline the process for granting access to student information systems that will strengthen service, guidance and controls. In addition, people are using Lean practices in smaller efforts that are adding up to big improvement. A faster process, fewer salary overrides, and fewer off-cycle paycheck requests will increase customer satisfaction. Download a one-page fact sheet [pdf] or the team’s presentation visuals [pdf] for an in-depth look at the project. The leaner process will free up an estimated 1,073 staff hours yearly for value-adding work. The new process will be virtually paperless, eliminating 2,800 pages per year. The leaner process will free up an estimated 525 staff hours per year for other work. Departments are encouraged to start their own process improvement projects by using the tools provided below. Remember, you can always call a Lean practitioner, if you need help along the way. Three parts to every project – prep, project and implementation. This roadmap [pdf] provides a snap shot for each phase of a project and how a Lean practitioner can help. Start out by using this project charter [pdf] to plan and communicate all key elements of your process improvement project. This project flow overview [pdf] lays out the schedule for a 5 day event. Its important to ensure you have plenty of room [pdf] to work in groups, while still being able to move around. And don't forget lots of wall space for butcher-block paper and sticky notes! This document [pdf] lists the types of process improvements that surface time and again as the biggest drivers of positive change. Use these measures [pdf] to help gauge the effectiveness of your process improvement project. Enlist TIMUWOOD [pdf] (transportation, information/inventory, motion, underutilization, waiting, overproduction, overprocessing, defects) to help you pinpoint occurrences of waste in your processes. Here are some methods and concepts [pdf] that may be used to implement Lean-powered improvement in your department. Use this quick worksheet [pdf] to help you determine who your customers are and how they feel about your service. 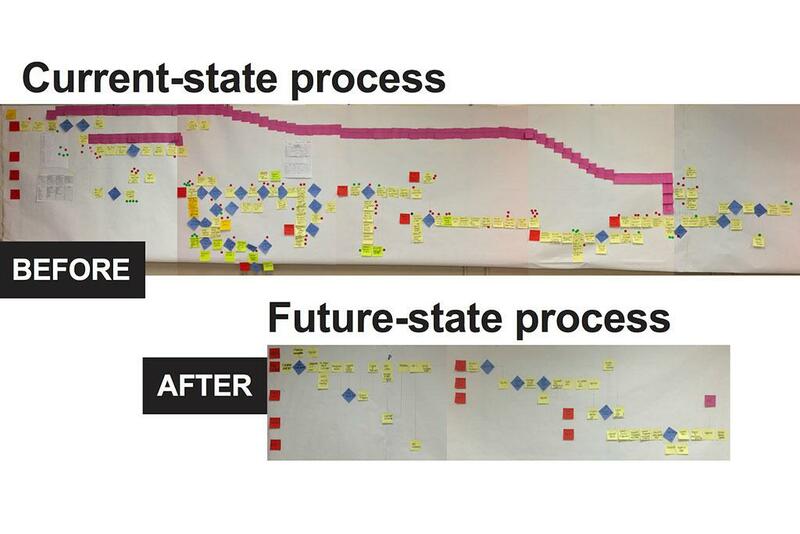 Looking for other ways to begin implementing Lean process improvement? Here are 10 ways [pdf] to get started now. "A3" a short-hand name often used in Lean-powered organizations to describe this structured problem solving and continuous improvement approach. Sometimes you'll even hear it as a verb: "We need to A3 that problem." It's based on the plan-do-check-act cycle that's at the heart of so much continuous improvement. Process improvement calls on us to leverage our "inner Sherlock Holmes" – how improvement practitioners need to take time to study the situation, look at data, analyze the problem, get to the root cause(s), and only then start thinking about improvement actions. The A3 approach is based on this, building all of the requisite front-end steps into the form. 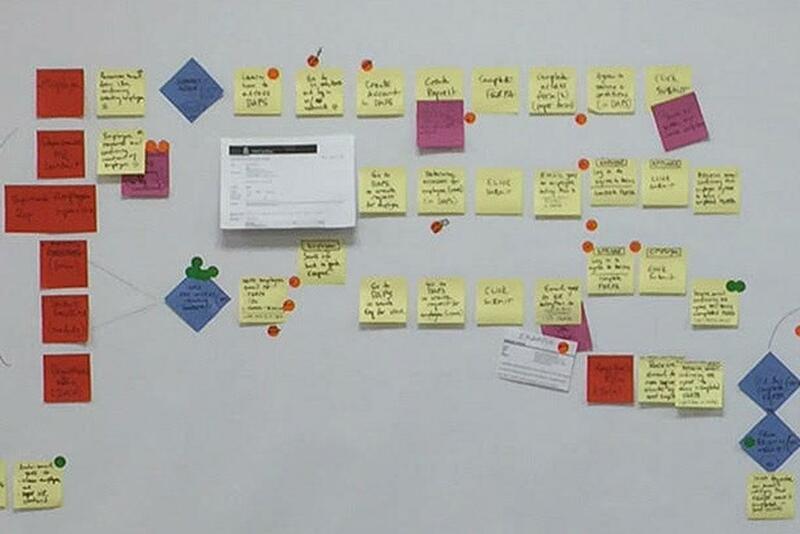 So the form is like an on-paper facilitator, guiding you along the path toward improvement. Why two versions? The landscape version packs everything into one page – for people who love their one-pagers. The portrait version is two pages, but it has more writing space. In terms of content, both versions are identical. The 5 Whys (Root Cause of Analysis) – This is a simple but powerful technique for uncovering the root cause of a problem when you lack data regarding why the problem is occurring. Hensei (Deep Reflection) – This is a process of reflecting on ideas or experiences in order to learn from successes or failures to improve oneself in the future. Review the Lean COP presentation [pdf] to learn more about the 5 Whys and Hensei, or try the 5 Whys exercise [pdf] to help determine the root cause of a problem. NOTE: These documents are not copyrighted by Tom Terez Workplace Solutions Inc. The copyrighted documents listed above (“the Materials”) are proprietary information of Tom Terez Workplace Solutions Inc. 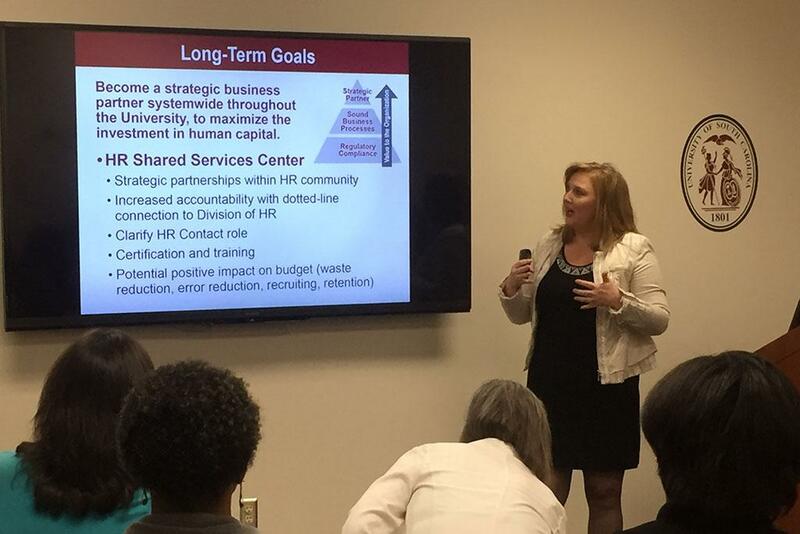 These Materials are provided for the exclusive use of administrators, managers and Lean practitioners at the University of South Carolina. 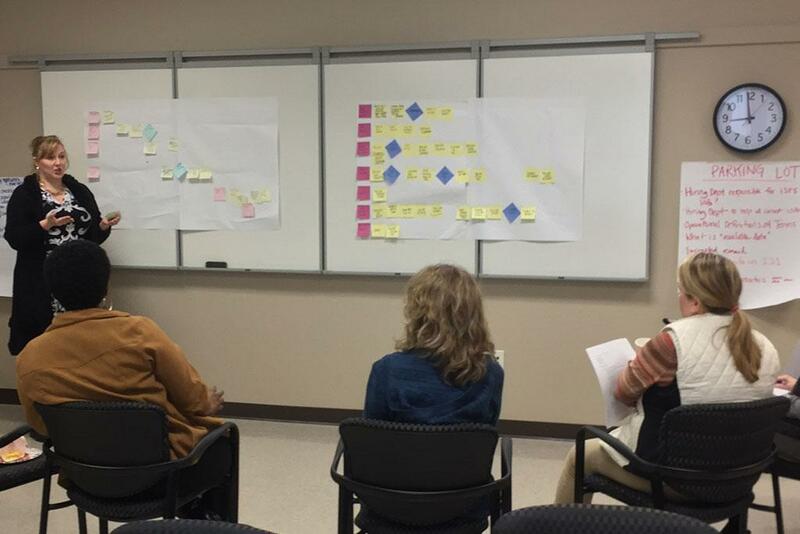 Want to see teams in action as they use Lean methods and tools to improve processes? Check out these photos from several big improvement events.